How many of us have uttered the words “I must be losing my mind” when confronted by a thought, a deed for which we needed to take responsibility? A capacity crowd of 175 gathered at the Peretz Centre on Sunday, Oct. 26th to learn more about our Mental Health and Wellness, which was the topic of the Jewish Seniors Alliance Fall Symposium. Marilyn Berger, President of JSA opened the session by asking the audience to rise in the name of mental health and honour the memory of the soldiers who had lost their lives senselessly and tragically this week in Canada. The audience joined Barbara Bronstein and Debbie Cossover in the singing of O’Canada and Claire Cohen combined with them in the singing of Hatikvah. Marshall Berger accompanied the singing on the piano. Gyda Chud, in her unique warm manner introduced herself and her co- convener Bev Cooper and proceeded to inform those in attendance of the various projects which are JSA’s main interests; Advocacy, (the ‘A’ in JSA), Senior Line magazine, the ever-growing Peer Support Counselling and the Empowerment series. She went on to say that today’s topic was chosen by previous audiences through their filling out evaluation sheets after past events and citing this issue as an interest. Bev Cooper enthusiastically introduced our first speaker, Dr. Penny MacCourt, past President of the B.C. Psychogeriatric Association who admitted that she, too, will become a senior this summer. 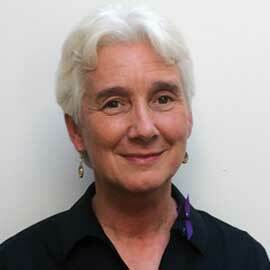 Penny has worked with older adults in the community, long term care and acute care settings for many years. She holds a Bachelor and Masters of Social Work from University of Manitoba and a PhD (Interdisciplinary Studies) from University of Victoria. Her doctoral and post doctoral studies have focussed on aging, mental health and service delivery. 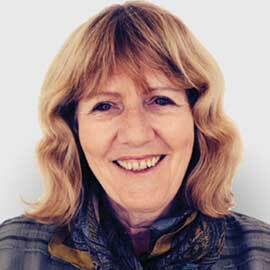 Her current research interests are mental health promotion, caregiving and policy analysis. Penny is a faculty member at Thompson Rivers University (Open Learning Division). She is a founding member and past President of the BC Psychogeriatric Association, past member of the Seniors Advisory Committee to the Mental Health Commission of Canada, and of the Board of the Canadian Association on Gerontology. Through practice, research, policy and advocacy, and in collaboration with others, her goal is to facilitate social environments that support the well being/mental health of seniors and their caregivers. 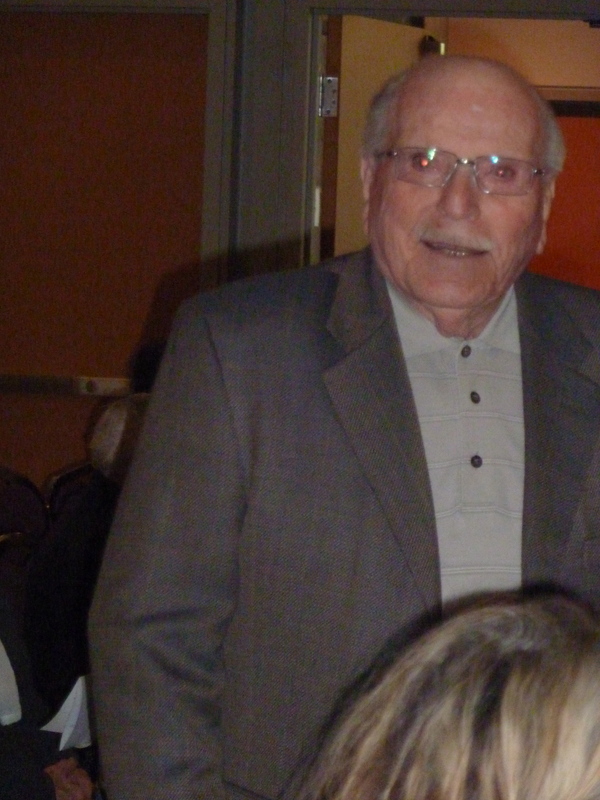 Dr. Donnelly was Director of Community Geriatrics for Family Practice for 25 years. She established teaching programs in medical school, Family Practice residency training and an accredited six-month training program in Enhanced Skills in Community Geriatrics for UBC. She also was the Director of the Division of Geriatric Psychiatry for 11 years and developed six-month teaching programs in Geriatric Psychiatry for General Psychiatry residents, as well as a one-year fellowship. She was President of the Canadian Academy of Geriatric Psychiatry when Geriatric Psychiatry was recognized as a subspecialty under the Royal College of Physicians and Surgeons. Dr. Donnelly spearheaded the development of a two-year Geriatric Psychiatry Subspecialty Program at UBC and is now that program’s Director. In 2010 she won a Killam Teaching Prize Award. During her career Dr. Donnelly led the development of Guidelines for Geriatric Mental Health Practice, for assessing capacity, for the practice of ECT in BC and Guidelines for Collaborative Care between Family Practice and Psychiatry. 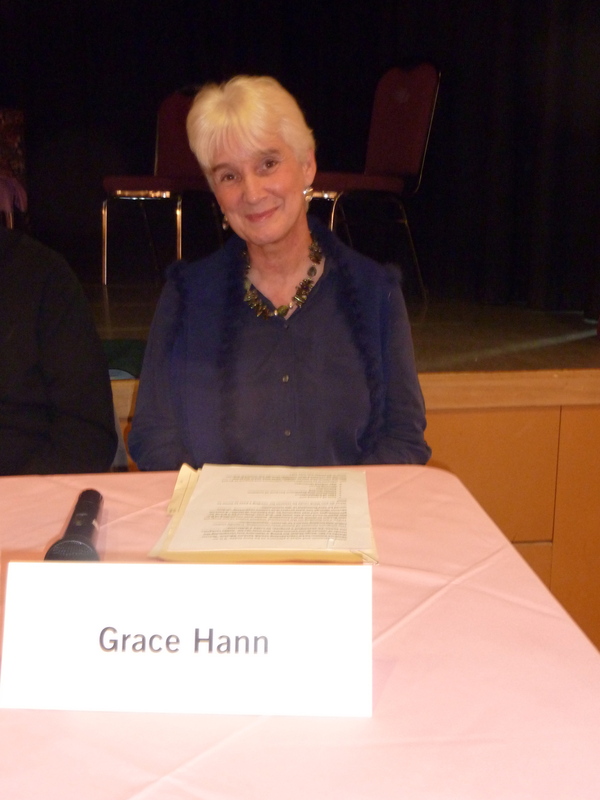 Throughout the past 15 years Grace Hann has been very committed to the issues facing seniors. Her advocacy work is known in the community as she has helped many seniors who have faced evictions and other challenges. 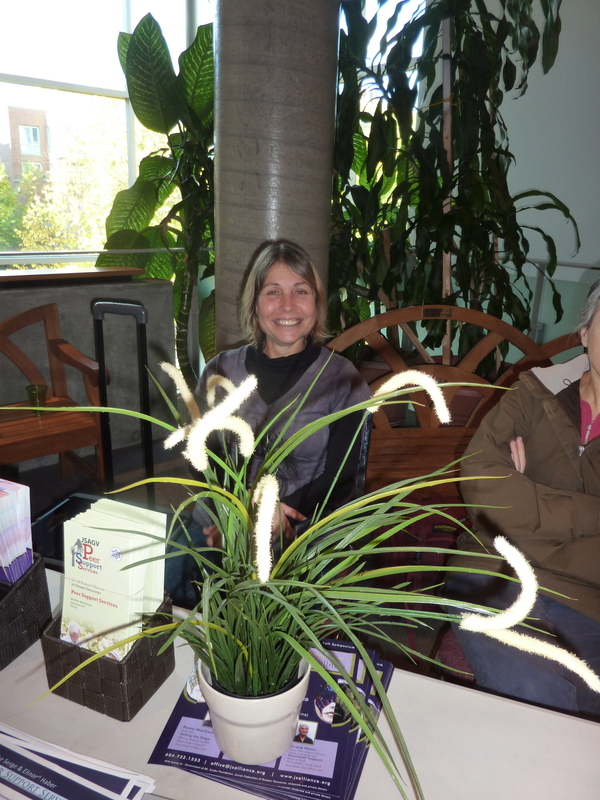 Grace has set up and supported volunteer systems as well as being a facilitator/trainer for various senior peer counselling groups within the Lower Mainland on an ongoing basis. Grace is President of Senior Peer Counselling of BC, and serves on the YWCA Board for the Community Action on Elder Abuse project. 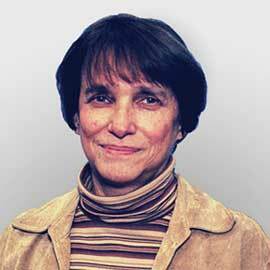 She is currently working with Jewish Seniors Alliance and is the Trainer and Supervisor of Peer Support Services. Dr. MacCourt opened with the statement that Mental Health is often equated with mental illness but they are NOT the same. She emphasized that we need to provide protective factors that give people the resilience necessary to cope in the face of adversity; this means to help moderate the impact of stress and to facilitate social and emotional wellbeing. We need to provide supportive living shelters, continuous inclusiveness and access to these services. Help should be provided to those in need to maintain self-esteem and achieve effective coping strategies. These are the protective factors which may ease or ward off the following risk factors which include: social isolation, limited income, loneliness, challenging life transitions, lack of meaningful activity. Resources should provide interconnectedness with people and nature and age-friendly community links as well as easy access to green spaces, which seem to foster more positive attitudes to physical and mental wellbeing. These are resources we can all build together in a positive communal effort. ‘It is neither wealth nor splendor but tranquility and occupation which gives happiness.’ Thomas Jefferson. Appetite disturbance, loss of weight, early morning wakefulness, lower energy, and wishing life were over – she stated the startling fact that the highest rate of suicide is in the senior years. One of Dr. Donnelly’s patients, Don Carroll, a very young 82, allowed us a glimpse into his former and exciting world, which included being instrumental for the extremely popular TV shows such as ‘Mr. Dress Up’ and ‘Friendly Giant’ and his terrifying descent into a dark little room from which he could not emerge or extricate himself on his own. It took Dr. Donnelly’s professional experience and continued help to assist Don to return to the vital outgoing fun and contributing person he had previously been, a difficult journey for him, his supportive wife, Nancy, and family. It was resolute determination on all their parts to get Don to the stage he is in now- off the medication and sharing with others the fact that one CAN come through to the other side with the correct diagnosis, therapy and trust in one’s doctor and regain the ability to rely on oneself. The process was slow including group therapy, daily exercise, medication and ‘thought catching’ – tossing out negative thoughts before they take hold. “There are days I should not be feeling as good as I am” he smilingly told us- a statement which attests to the fact that ‘Don’ is back’ enjoying the world fully and smiling once again. ‘Fall down seven get up eight’- a Japanese Proverb. Emotional Support: What is this? What does it look like? How does this affect us? 2 – Continuation at the JSA Symposium, by Grace Hann. 4 – Continuation with Grace Hann, Peggy Casey, Mark Godfrey, Lorilee Mallek, and Nora Paul. 5 – Tanja Truelsen in her role as a young adult in the underground movement in Denmark, during the invasion of Nazi Germany. 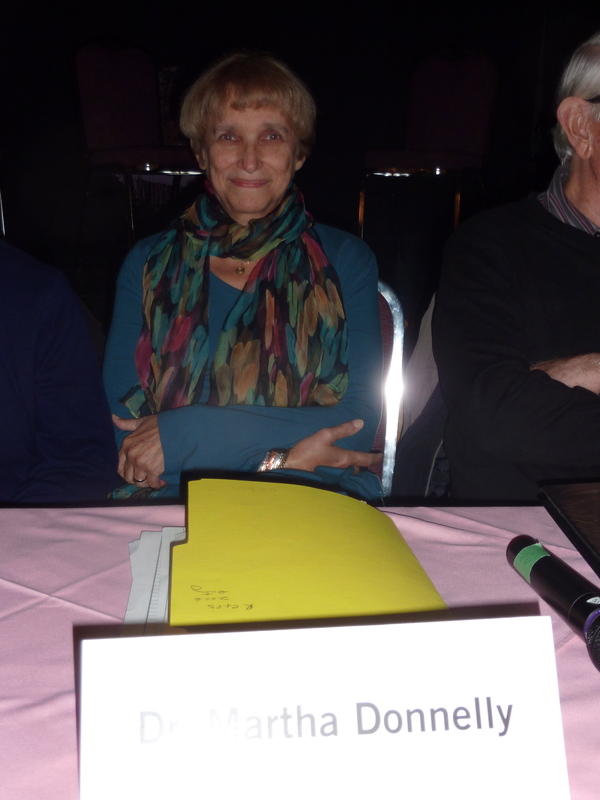 Grace Hann is President of Peer Counselling of BC and is on the YWCA Board of Community Action on Elder Abuse Project. Hann is currently working with the Jewish Seniors Alliance as Trainer and Supervisor of Peer Support Services and acknowledged JSA President Emeritus, Serge Haber, as he was the one who had the vision to have instituted the Peer Support Services as a vital project of JSA. loss of a love one, age related challenges, relocation, family discord- all feelings that need empathy which she said were ‘echoes of another person in ourselves’. Hann called upon 3 graduates to do ‘role playing’- a method used in the actual training of the 55 hour course in Peer Training. We were treated to skits depicting possible exchanges between client and counsellors at week one and culminating at week 54. It enabled us to see the process which the trainees had gone through and grown from the initial expectations of their own abilities and finally gaining the knowledge and understanding of how to go about dealing with challenges the clients faced i.e. loss of vision, loss of a loved one, loss of freedom and independence. The three E’s were employed: Empowerment, Empathy and Emotion. Trainees learned not to use JAR = Judgment, Advice or Rescue. Both clients and counsellors benefited from the interactive sessions and there is a waiting list of clients eager to be helped. 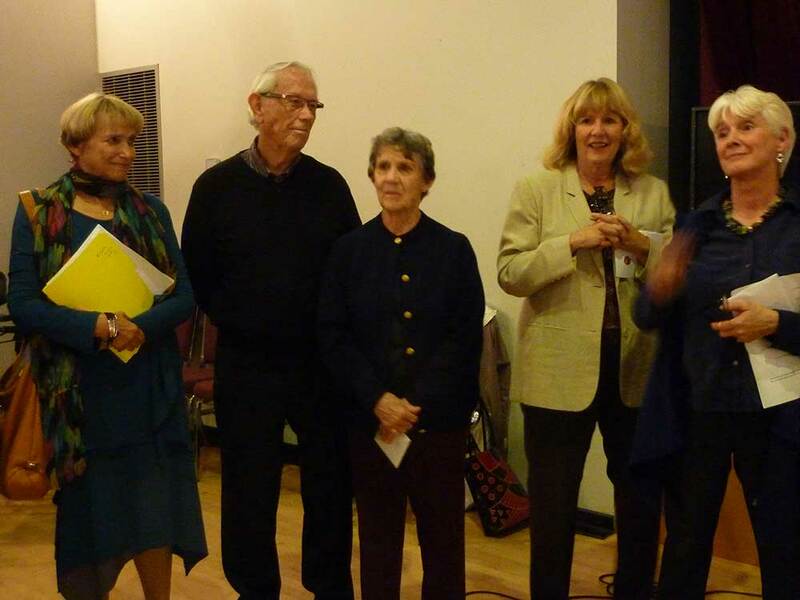 Hann then had a special and very moving surprise for us – a woman Tanja, 91, who, when Denmark was invaded by the Germans, secretly and at high risk to herself, helped Jewish adults and children escape to Sweden. Tanja told us one of her own very gratifying moment was to witness the uniting of a mother with her child in a kindergarten when the war was over. Many years later, here in Canada when Tanja, herself was ill with cancer, she reached out for help and she was given the empathy and understanding she had sympathetically shown to others so many years before. Tanja was given a heartfelt standing ovation by those attending – many of whom had been moved to tears listening to Tanja. The symposium came to a close as Marilyn Berger thanked the speakers presenting them with gift certificates and with the help of Serge Haber handed out flowers to all participants. The co-conveners were thanked, as was Karon Shear, JSA Coordinator for an extremely successful symposium without whom this event would never have received the accolades it merited. Refreshments and discussions followed, nourishing our bodies and minds. The audience left with much to contemplate but assured in the knowledge of where and to whom turn should the need arise.